Hmmm, I had this weird idea for a while. Could make an event if given the all clear. Can't seem to connect to the server for some odd reason. Another update or connection issues? Well then! 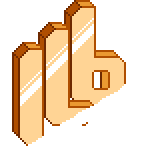 Saw ILB had a big update and I like what I see! I'd better make some applications to explore the new worlds. Anyone wanna point me in the right direction? do we really need an application? did they remove annon connections again? Not sure if server crashed or something. Hum. Where to report?